It’s wedding season here in the Hill Country! This time of year, as the flowers bloom and the days grow long, is the perfect time to have the rustic wedding of your dreams. A true western wedding is the stuff of fairytales, steeped in tradition, with a blend of romance and country charm. Country weddings are all about celebrating the beautiful union of two souls surrounded by loved ones, dancing under the stars, and eating good food. Unlike traditional weddings, which can be a bit somber and all-too-fancy, western weddings are filled with wild revelry, laughter, hootin’ and hollerin’. It’s a celebratory, downhome affair, that doesn’t take itself too seriously. Though western weddings can come across as simple, planning one can be daunting, to say the least. Even a modest country wedding can be a real beast to organize. 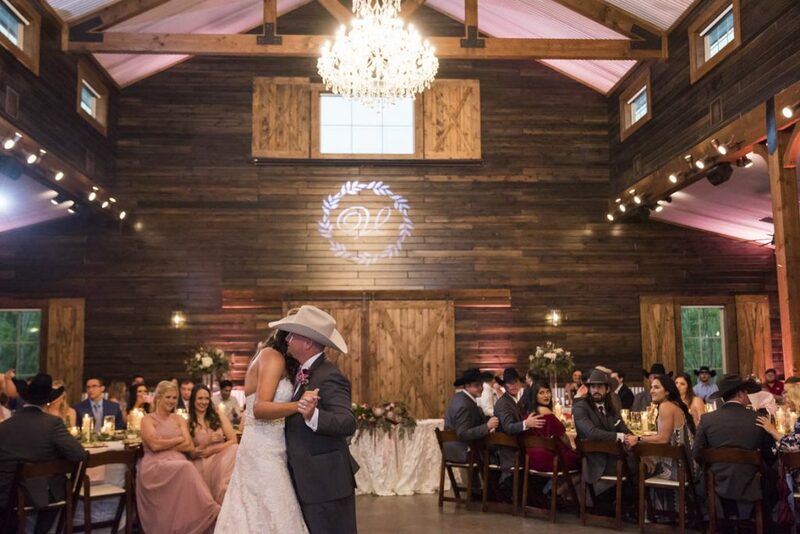 From finding the perfect barn style wedding venue with rustic wedding decorations, to pairing your western style wedding dress with the right cowboy boots, it sure can get overwhelming. Harry’s Boots wants to help guide you in your western wedding planning. This past weekend, we had the pure joy of attending a lovely, country style wedding, and experienced first-hand how magical it can be. Our friends Sarah and Lane Vay were married in true western splendor, and have inspired us to create this handy, rustic wedding guide. So, check out their lovely wedding photos, by Rachel Driskel, and find out what it takes to bring your western wedding to life! First things first, before you can begin planning the ceremony, picking the decorations, or sending out invitations, you have to choose where to have the wedding. Now, the obvious choice for any country wedding, would be in a barn style wedding venue. There’s no lack of beautifully renovated barns out here in the Hill Country. But, if you just can’t seem to find that special venue, think about vamping up a local barn. Simplicity and authenticity are key with country weddings. Achieve the shabby-chic look by clearing out a rustic space, throwing up some lights and filling it with flowers. Or, don’t choose a venue at all! If it’s the right time of year, consider having your western wedding outside, in a sprawling orchard, on the shore of a pristine lake, or in a peaceful meadow. You also need to decide if you will have the ceremony and the reception in separate spaces. Most weddings have the ceremony in a religious or spiritual place, and the reception is in another location, decked out for food and dancing. Get clever with your western wedding decorations and embrace country life. Of course, there should be plenty of flowers, the wilder the better. But, adding rustic elements will give that added touch of charm. Old ladders covered in flowers and lights, bouquets wrapped in antique lace, mason jars, horseshoes, and bales of hay, are all acceptable decorations at a western wedding. Another thing to consider is the weather. If it’s going to be a warm day, print the wedding program on fans, or offer parasols at the door. It’s up to you how country you want to be. 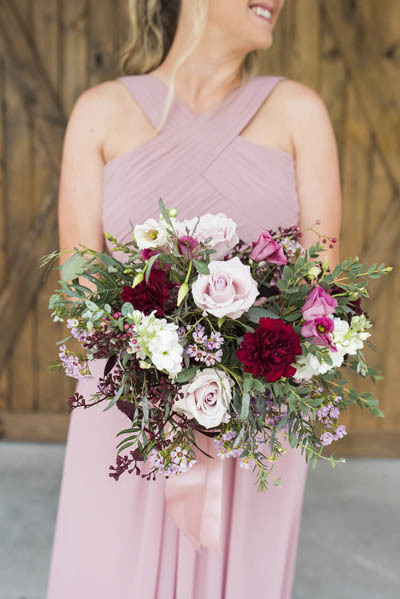 Keep it simply chic with satin and lace elements, or go full-blown-western, with flower arrangements in cowboy boots and beers in wheelbarrows. Another important element in a country wedding is the food. You have to decide if the reception will be buffet style, or sit down. Both are completely fine when it comes to your country style wedding. For a sit down dining experience, there’s nothing more country than big, family-style dining. Give your guests a real country feast, with large helpings of southern foods, and keep the courses coming! Fresh dishes made from locally-sourced produce and surrounding farms is a great food option for a sit-down dining reception. And, the obvious choice for a western wedding buffet is barbeque, of course. It’s an easy cost-effective way to feed a large group of hungry wedding-goers. Spice up your wedding reception by offering the best local barbeque. Just be sure to have plenty of napkins! With a country wedding, it’s all about comfort. The perfect bridal dress for a western wedding can be big and fancy, or simple and sweet. It’s the bride’s day, so as long as she’s happy and feels good, the rest is easy. There’s no rules when it comes to accessorising western wedding dresses. So, feel free to chinc the waist with a rustic belt, replace the traditional vale with a wide-brimmed felt hat, or even sport a jean jacket if it gets chilly. Also, remember to bring a nice robe or lacy kimono for the bride to wear when getting ready. Consider if you want the wedding party to match or not. Flowing, romantic dresses are a good way to go, as far as bridesmaids dresses are concerned. Many country weddings take place outside, for at least one part of the event. So, for warmer seasons, a light color and breezy fabric is best. And, since there will most likely be a large amount of flowers, avoid clashing by ditching patterns, and choosing a solid colored dress. For the groomsmen, a nice suite and tie will do the trick. Add a touch of country style with a cowboy hat or leather belt. At western weddings, the groomsmen should resemble a band of gentlemen cowboys. It wouldn’t be a western wedding without cowboy boots. The bridal party will be on their feet for most of the day, so boots are a stylish and practical choice. For the bride, the boots should be special, and have a little extra bling. There is an endless variety of elegant, western-style boots out there. 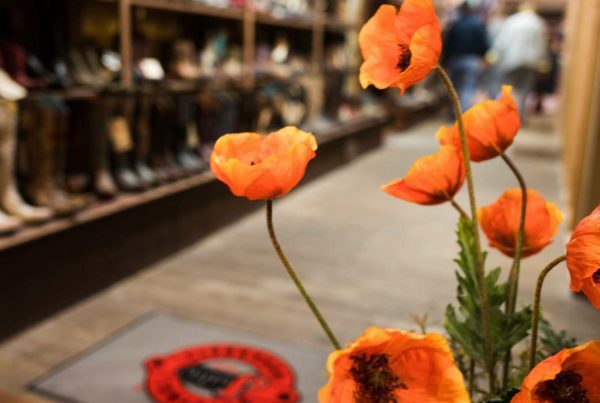 Remember, she will cherish her wedding boots all her life, so the bride should march down the aisle wearing a pair she loves, and will stand the test of time. The same goes for the groom. The most important day of his life calls for no ordinary cowboy boot. Consider a pair of exotic boots, made from a rare leather, for a rare moment. Every time he wears them will be a reminder of the commitment he’s made, so they should be strong and built to last forever. 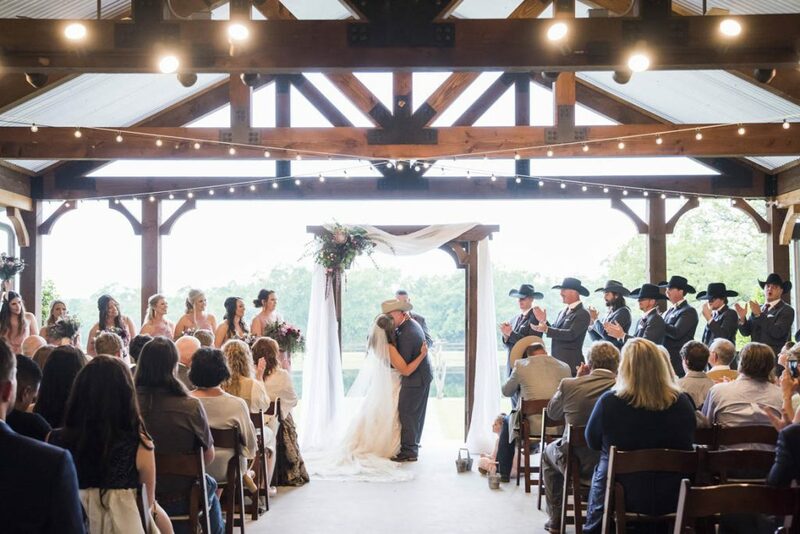 Here in San Saba, Texas, we know a thing or two about country wedding traditions. Just outside our sleepy town, stands the mighty Wedding Oak Tree. It’s been the site of countless wedding ceremonies, starting with Native Americans and pioneers, onto today. The tree even inspired the name of a renown, award-winning San Saba winery, and is on National Geographic’s list of Remarkable Trees. There are many little traditions in a country wedding, like throwing rice, tossing the garter belt, and catching the bridal bouquet. Superstition even says, if you bury a bottle of bourbon at the wedding site, you can stop it from raining on the big day. These traditions date back hundreds of years. Though most of them are based on superstitions and long-forgotten myths, they will give your wedding the cham and authenticity of a true rustic ceremony. NOW, GO AND GET HITCHED YOU CRAZY KIDS! … and all Hats & Boots by yours truly.